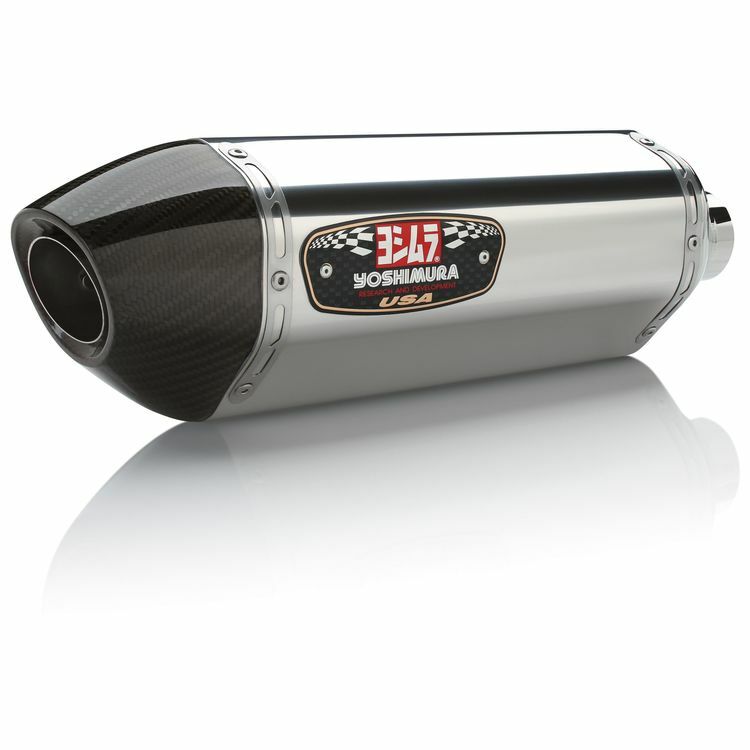 The Yoshimura R-77 Slip-On Exhaust was designed with the needs of the racer in mind. Using the feedback received from the Yoshimura Road Racing Team, their designers came up with a muffler that is constructed from lightweight materials, grants a significant boost in power thanks to its high-flow trapezoidal shape and gives your bike a great sound without being excessively loud. The muffler will help your engine make more power while reducing overall weight. 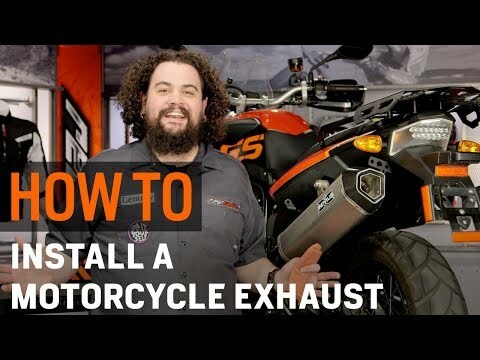 The end result is an exhaust that will let your motorcycle reach its maximum potential! Received the R77 in last night, installed it and rode this morning. The sound is amazing. I did install the low volume insert that came with it. Not too loud, but definitely not quiet. Compared to my stock can, this felt like a feather! Install was super easy. I've never installed one and it took me about an hour (because of a little ocd). It looks great on my GSX1250FA. Pick this one up, you won't regret it! Best looking, quality product. Good sound but not over-bearing. Other drivers could not hear me and my fellow RIDERZ kept laughing at me! Hope this helps my bike run more to it's ability.